There are essentially 5 different versions of the finger rings that were available over the decades. (this does not count the fixed versions). 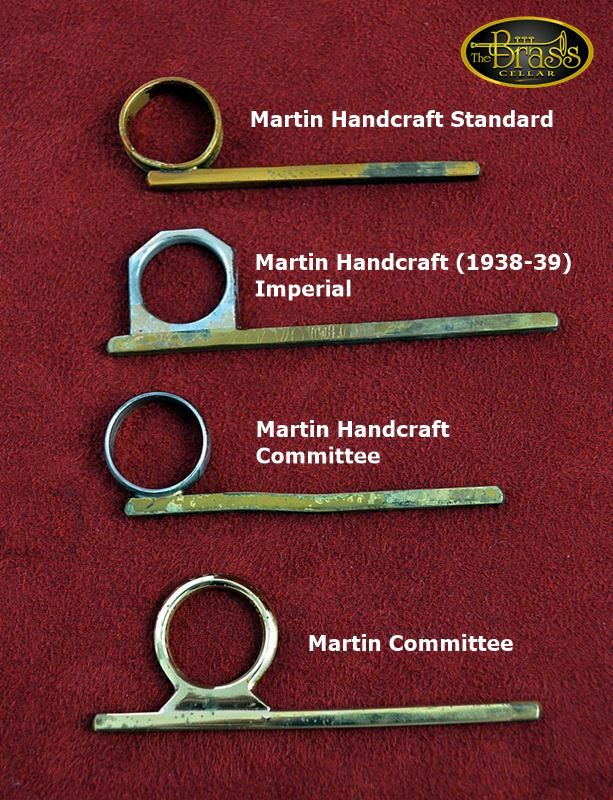 Martin Handcraft Standard: simple ring design, but with a grooved ring. Typically only in lacquer. Martin Handcraft Imperial (Early) (Pictured separately) Almost the same as the Handcraft Standard model, but with a nickel ring. Martin Handcraft Committee: Simple nickel ring attached to a post in yellow brass. 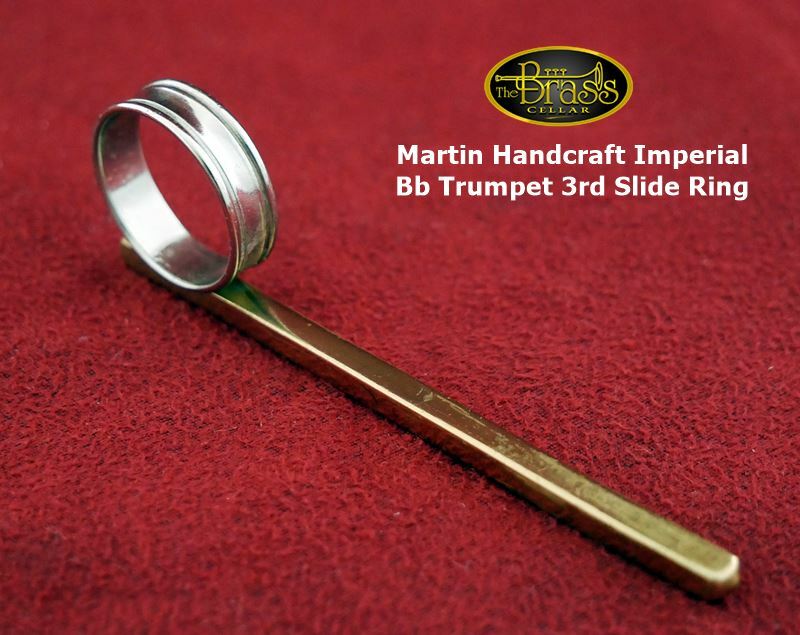 Martin Committee: Iconic finger ring for the side position throw on the Committee. One piece of machined metal. The finger rings are extremely hard to find as a spare part - if you are missing a finger ring on your horn - you will be looking at minimum $75 - $100 to replace this item. (So factor that in to your purchase). I have seen replica items of the Committee finger rings that show up from time to time. Original is always best for resale - but having any is still a benefit.